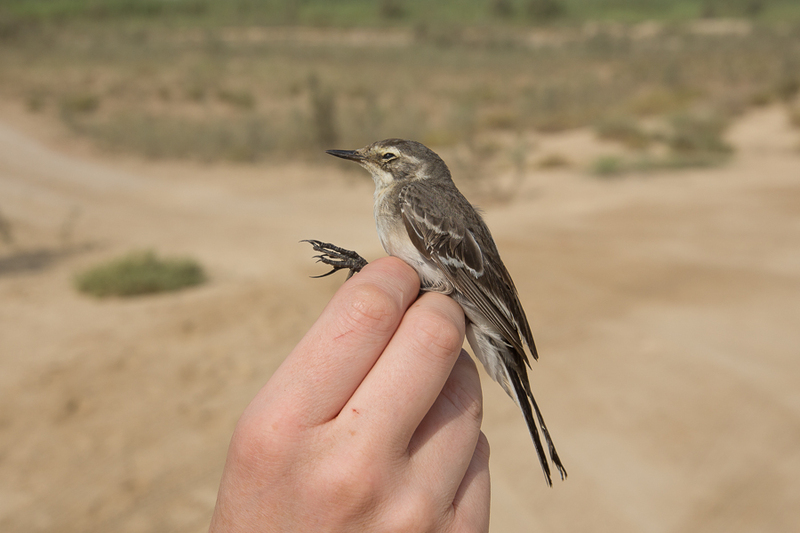 Whilst ringing at Sabkhat Al Fasl on 10 October 2015 we caught a first year Citrine Wagtail. This was the first time we have caught and ringed this species in Saudi Arabia and was a bit of a surprise as we seldom catch any wagtails as they are so good at seeing and avoiding the nets. Citrine Wagtail is a scarce winter visitor to the Eastern Province with most birds seen at either Dhahran or Sabkhat Al Fasl probably because these are the better-watched sites in the region. Elsewhere in Saudi Arabia it is also a scarce winter visitor with records of summer plumage adults seen in late March but the majority of birds being first winters seen in August to October.